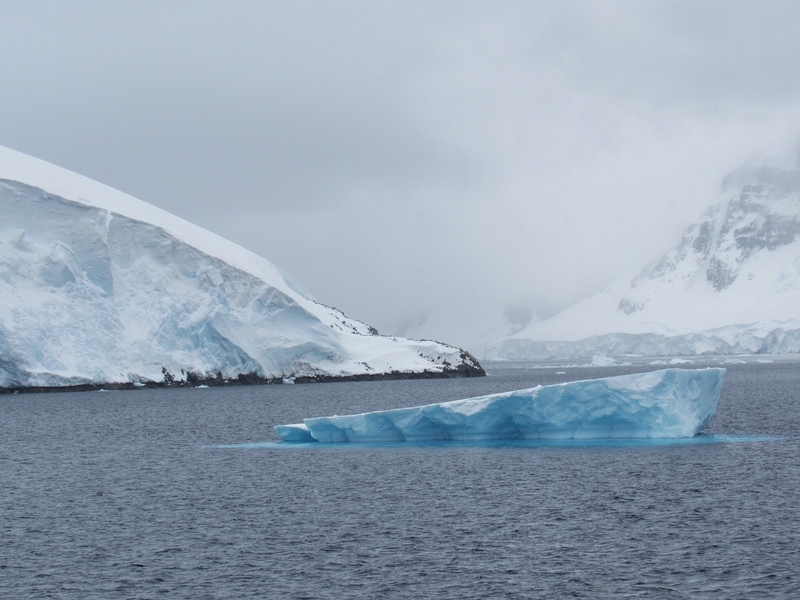 The thing that strikes me most about Antarctica is the vast emptiness. It is endless thousands of miles of nothing but ice and snow. There are no trees just the occasional simple lichen or moss – incredibly bright against all that white. I understand now what is meant by a delicate and fragile ecosystem. Since 1959 it has been protected by the Antarctic Treaty – but, of course, mining companies are circling like vultures. Fishing is not banned and increasing amounts of krill are being ‘harvested’ for bait and aquaculture, and Japan plans to continue killing Minke whales for ‘scientific’ eating. I’m feeling strong kinship with the Sea Shepherd. It’s early summer here but there’s not much alive above the surface of the icy sea. 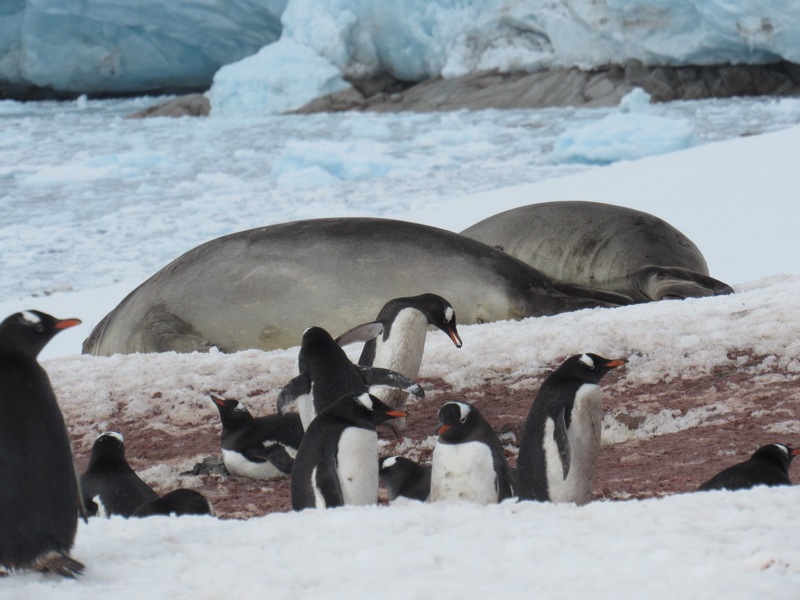 This far south, there are basically three types of penguins (Gentoo, Chinstrap, Adelie) and two types of seals (Weddell and Elephant) plus a few seabirds (Antarctic Tern, Skua, Gulls, Petrels, Cormorants). On a couple of occasions Humpback and Orca whales swim alongside the boat, but I’m always too slow and only ever see a flash of bulge or fin. 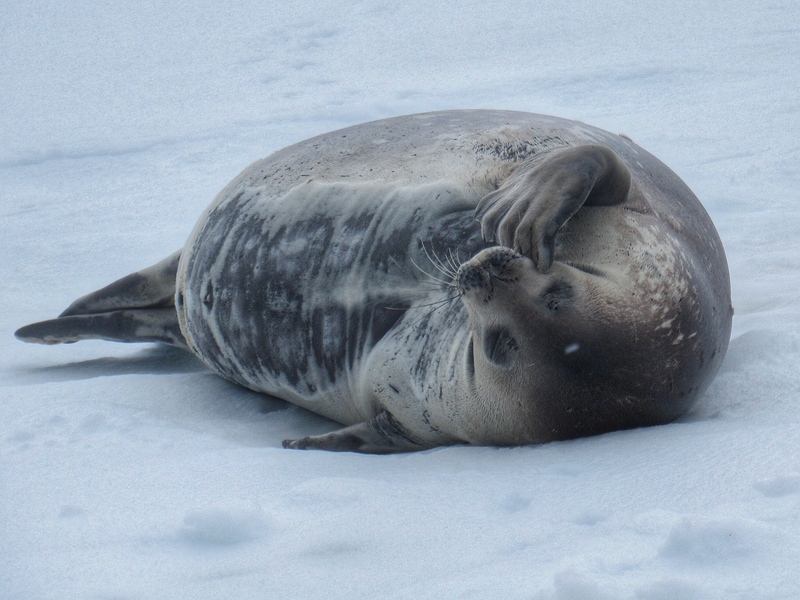 The seals are so lazy and slow moving on land – just a big pile of blubber with the most adorable whiskery faces. If you sit down in the snow and watch them for an hour, you may be lucky enough to see one raise their head or have a liesurely scratch. 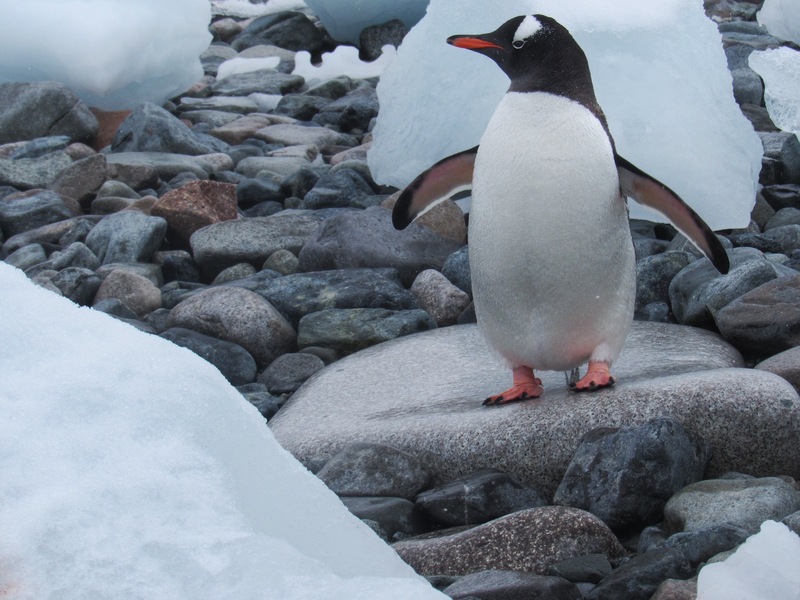 In contrast, the penguins are totally ‘happy feet’ – sweet and absolutely hilarious. There are thousands of breeding pairs in the smelly rookeries where they come to lay their two eggs. In all penguin species, both genders share the nesting and nurturing duties. Watching their interactions is so touching that you can’t help but really hope they successfully hatch their eggs and raise their young. It’s dangerous being a penguin (el pinguini in Spanish). If you’ve never read ‘The Courageous Voyage of Joan de Penguin’ (Neil Hollander), you should read it now. Such a gorgeous little gem of a book that captures the penguin personality perfectly. I can’t think of any non-cliched way to describe the incredible awesome beauty of ice on this grand operatic scale. There are so many different types (sea ice, pancake, glacial, floe) in varying shades of white and blue, all sculptured into unbelievable shapes. Huge chunks of black ice (a thousand years old and so compressed there’s no air left) lurk unseen below the surface and are the most dangerous for ships. In the absence of other life forms, the ice and sea come alive and appear to be sentient beings in their own right. The air temperature is only around zero, or just below, most of the time, but the icy wind makes it feel much colder. It snows regularly, and horizontally. Twice daily we venture out in ‘Zodiacs’ (rubber dinghies), in groups of eight, to land on the continent or various islands and hike across the snow, or just to float amongst the icebergs when no landing is possible. Wearing four or five layers of clothing is so uncomfortable that I keep trying to wear less, so I periodically get frozen. Or wet and frozen, which is worse. It’s impossible to take photos in horizontal driving snow so all of the photos are taken when it’s bright and sunny. The weather and the shades of blue change constantly. Sunny one minute, blizzard the next. The passengers on the ship are an intriguing mix. There are a number of Dutch, German, Polish, Americans and Australians, but there are many other nationalities with just one or two representatives each. Strangely, there are no New Zealanders, French or Israelis. The ship’s announcements are supposedly in Spanish and English although I can’t understand a word in either language. The youngest passengers are in their late twenties, most are over fifty and amazingly quite a few are in their late seventies and even eighties. Many are travelling solo and almost all are ‘serious’ travellers with a lifetime of diverse and interesting adventures. 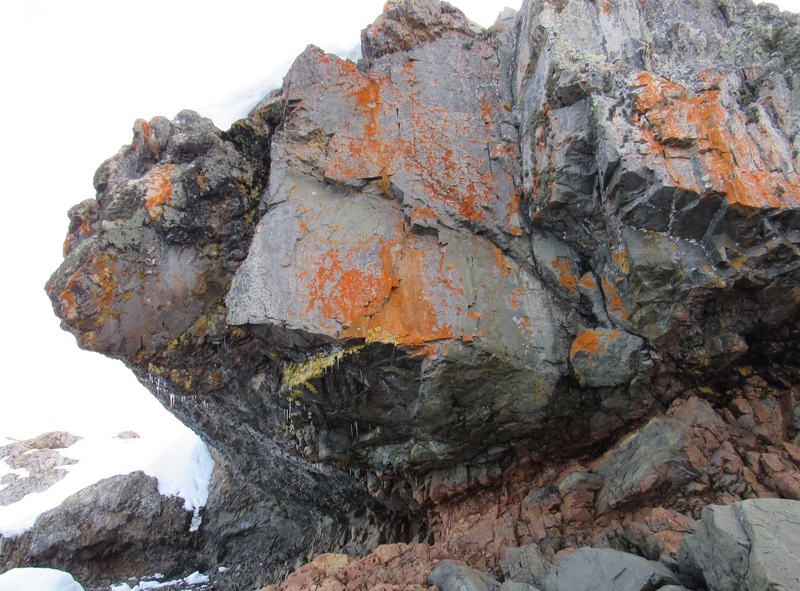 Parts of the Antarctic are littered with the debris of previous human occupation. 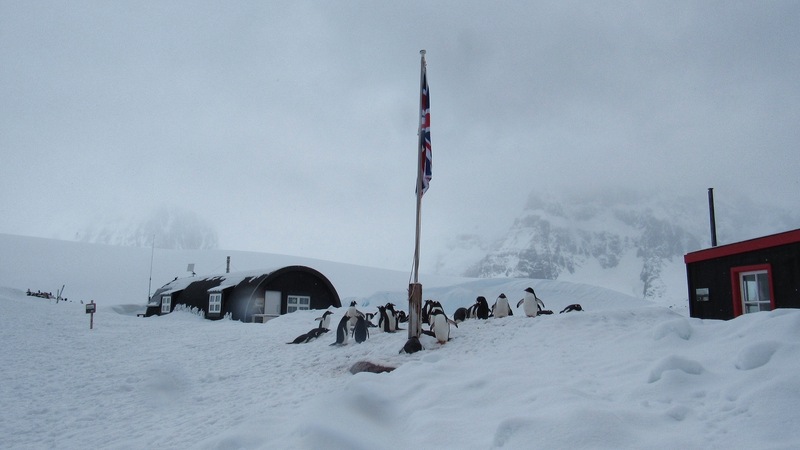 Some buildings, with everything preserved perfectly from 100 years ago, have been turned into mini-museums and the British ‘Port Lockroy’ is now also a post office. Evidence of the scale of hunting in the past is chilling, with whaling stations and ships lying where they were abandoned. 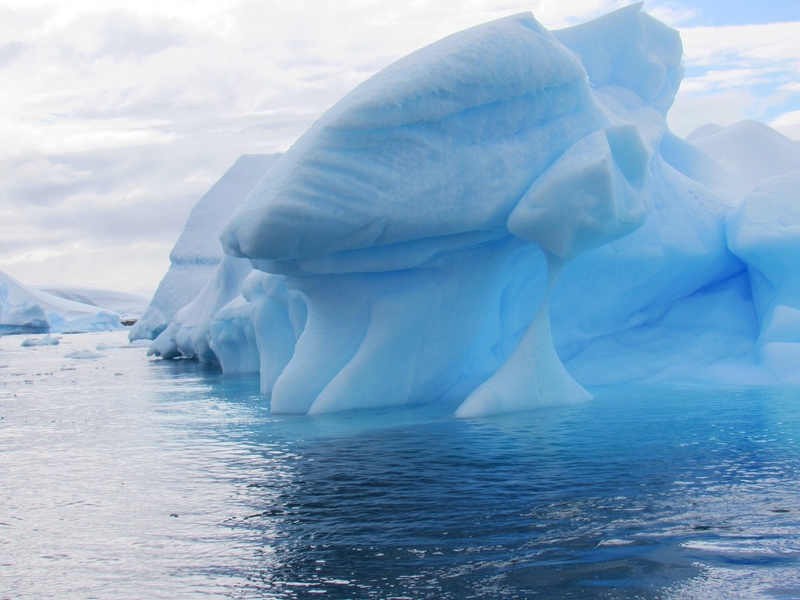 The Antarctic has been getting colder with more ice each year. Nobody knows why. 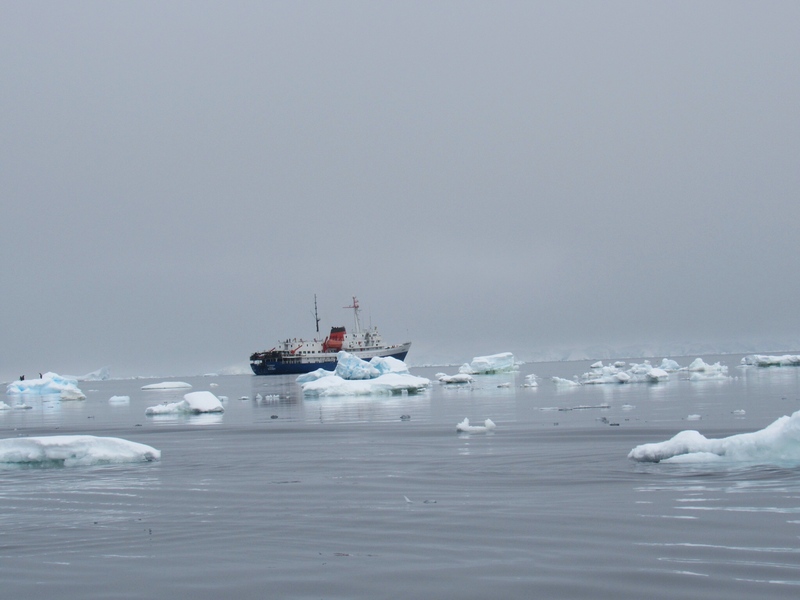 There is too much ice for our ship to get through the Lemaire Channel or go any further south. I had hoped to see King Penguins on this trip but sadly that’s not going to happen. It’s quite incredible to see ice forming around the ship and even more thrilling when you’re up close in the zodiacs. Night-time is a kind of perpetual twilight, it never goes dark, so there is plenty of time for looking at scenery. This entry was posted in Antarctica stories and tagged adventure, Antarctic, Antarctica, ice, penguin, seal, snow, South Pole, Travel. Bookmark the permalink. How fascinating . Very well written and quite humbling. Yet again evidence of mans greed and irresponsbility fishing fir krill and the whaling stations. Man destroying our world the eco system. Heartbreaking and infuriating. unbelievable pics Jeanne thanks for sharing your incredible trip with us all. HI Jeanne. Am loving reading about your adventures. You need to put this into a book one day.